Grey winter morning light in a grey bathroom. I love this! It is so peaceful and calming. It’s really quite stunning. ooh i have this shower curtain from anthropologie! i love it. great photo. 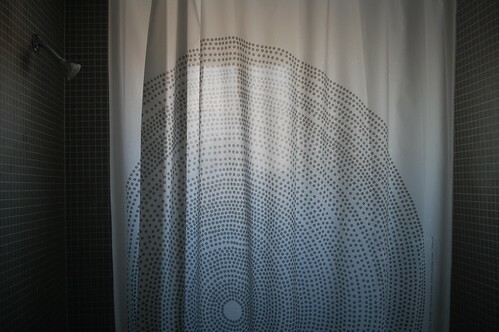 I have that shower curtain! Yay Marimekko. pretty! i like the tiles too! it’s so nice to have a window in your shower.